Vionic’s Vasyli Medical products and innovation are at the core of the technology they bring to their consumer brand – Vionic® with Orthaheel® Technology. 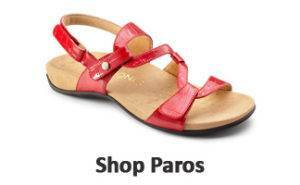 They offer sandals, shoes and slippers in streamlined silhouettes that feature concealed podiatrist-designed technology. This innovative Orthaheel technology helps reduce over-pronation, helping to improve foot function and relieve common associated pains such as plantar fasciitis (heel pain), knee pain and back pain. Vionic’s comfort shoes are the only footwear recommended by both the American Podiatric Medical Association (APMA) and renowned integrative medicine doctor, Andrew Weil, MD. Vionic’s Australian podiatrist founder Phillip Vasyli introduced the best-known and award-winning Orthaheel brand in 1991 to reach an even larger audience of people struggling with foot pain. As of July 2013, Vionic Group’s three consumer brands, Dr. Andrew Weil Integrative Footwear, Orthaheel and Vionic, merged into a single, stylish brand that marries technology & performance with fashion: Vionic with Orthaheel Technology. The new collection will launch in the USA, Canada, Germany, Austria, Switzerland, United Kingdom, Italy, Australia, New Zealand and Taiwan. While a new brand in style and design, Vionic retains its most prominent feature, trusted Orthaheel Technology, as well as a commitment to maintain the vision of creating life-changing footwear. The first of its kind to bring trusted technology and style into one transformative solution, Vionic footwear offers innovative, podiatrist-designedSUPPORT built seamlessly into contemporary and modern classics, constructed in premium materials and essential silhouettes. This innovative orthotic technology is based on more than 30 years of podiatric success and raving customer satisfaction. Vionic with Orthaheel Technology offers the only products having earned both the APMA Seal of Acceptance and an endorsement from world-renowned integrative medicine expert, Andrew Weil, M.D. The Vionic brand benefits from the expertise of some of the finest minds in health and lower limb biomechanics. This collaboration, the Vionic Innovation Lab, brings together world-renowned authorities committed to promoting active lifestyles and healthier feet. 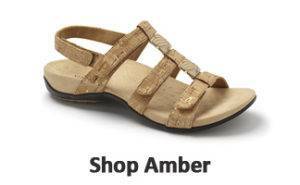 No other footwear company benefits from such a wide range and high level of expertise. Come into any one of our stores, located in Anaheim Hills, Rancho Cucamonga, Riverside, San Dimas, Temecula or La Quinta, today and try on a pair of Vionic shoes! 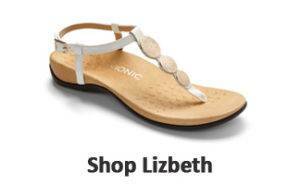 At Lucky Feet Shoes, we carry many of the Vionic comfort shoes, sandals and slippers in our stores in Southern California. If you are looking for Vionic shoes in Orange County, the Inland Empire, Los Angeles County, Temecula, Riverside or La Quinta, we have six stores to serve you! 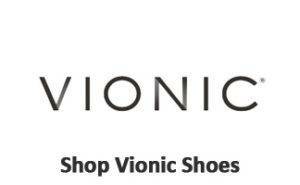 If you are looking for Vionic shoes in Anaheim, Anaheim Hills, Yorba Linda, Brea, Orange, Placentia, Fullerton, Irvine, Villa Park or Tustin; visit our store in Anaheim Hills. See store on map. If you are looking for Vionic shoes in San Dimas, Glendora, Pomona, Covina, West Covina, La Verne, Azusa, Diamond Bar or Claremont; visit our store in San Dimas. See store on map. If you are looking for Vionic shoes in Rancho Cucamonga, Ontario, Upland, Fontana, Rialto, Chino, Chino Hills, Mira Loma, Eastvale, Colton or San Bernardino; visit our store in Rancho Cucamonga. See store on map. If you are looking for Vionic shoes in Riverside, Moreno Valley, Corona, Rubidoux, Loma Linda, Grand Terrace, Redlands or Norco; visit our store in Riverside. See store on map. If you are looking for Vionic shoes in the Temecula Valley, Murrieta, Fallbrook, Lake Elsinore, Wildomar, Hemet, San Jacinto, Pala, Sun City, Menifee, Canyon Lake, Perris, Bonsall or Anza; visit our store in Temecula. See store on map. If you are looking for Vionic shoes in Palm Desert, Palm Springs, Palm Desert Indio, Coachella, Thermal, Vista Santa Rosa, Rancho Mirage or Bermuda Dunes; visit our store in La Quinta. See store on map.